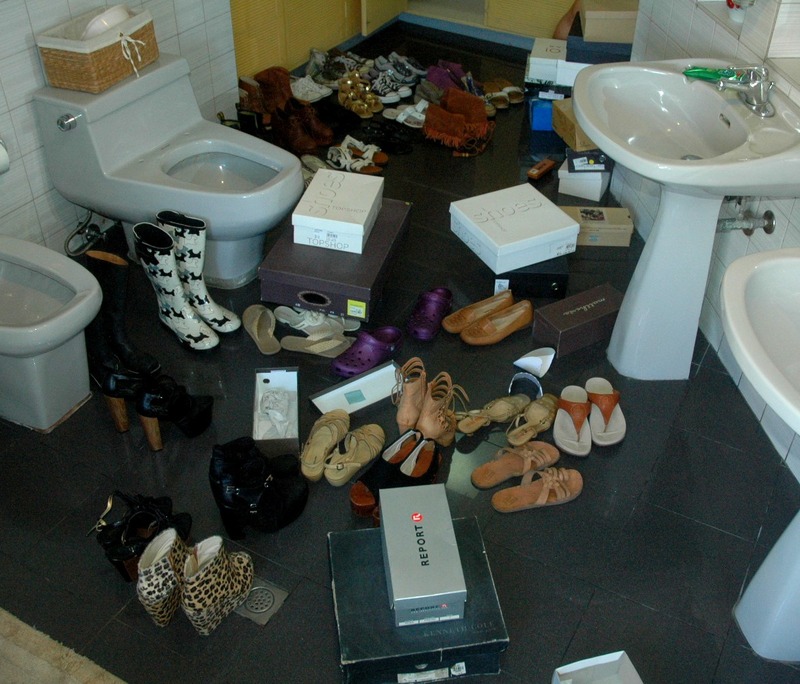 Sea Of Shoes...in my bathroom! I still own 76 pairs after selling several on ebay the past couple of months. Out of the 76, I probably get to use about 10 pairs on a regular basis. The rest are just worn on whims or never at all. I still have several with tags on them. The problem with this is that a lot deteriorate in storage. I gave 5 pairs away to my daughter's Nanny, set aside a few for selling. I know I have to get rid of at least half the amount but it can sometimes be sooo painful! I always think, what if I'll need it for this occassion or that? With 76 pairs you think I wouldn't need anymore, but I still do. A lot of them are similar and bought on impulse. I have to be a lot more careful with my choices from now on. Note to self: Stop buying what you already have. So tired from all the cleaning. Not entirely done yet but I think I'll continue tomorrow. Now I'm curious, How many pairs of shoes do you own??? Seriously, shoes are like heroin. Wow! That's a LOT of shoes! 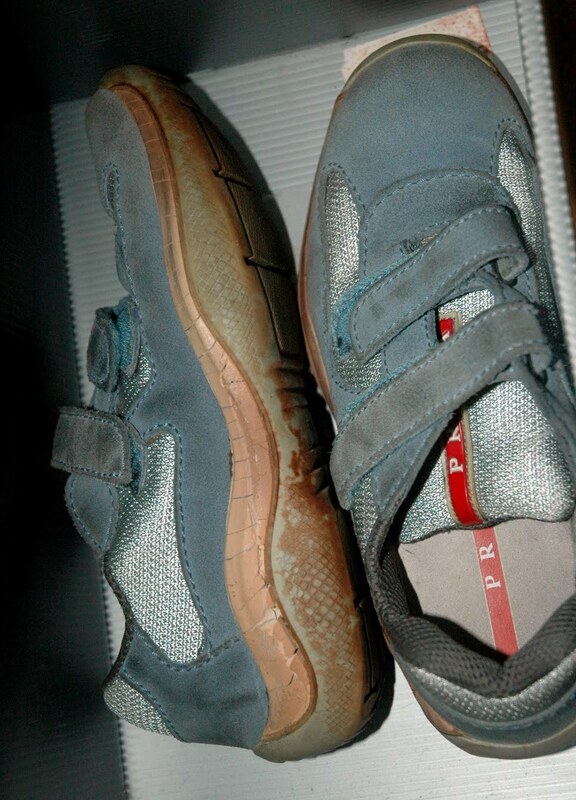 Makes mine look kawawa haha maybe you should sell some of the pairs you don't wear! I dont know who many pairs I have, but Im sure you have more shoes than me! ANSWER: Oh thank you, hope u will follow! "Shoes are like heroin" haha. So true! 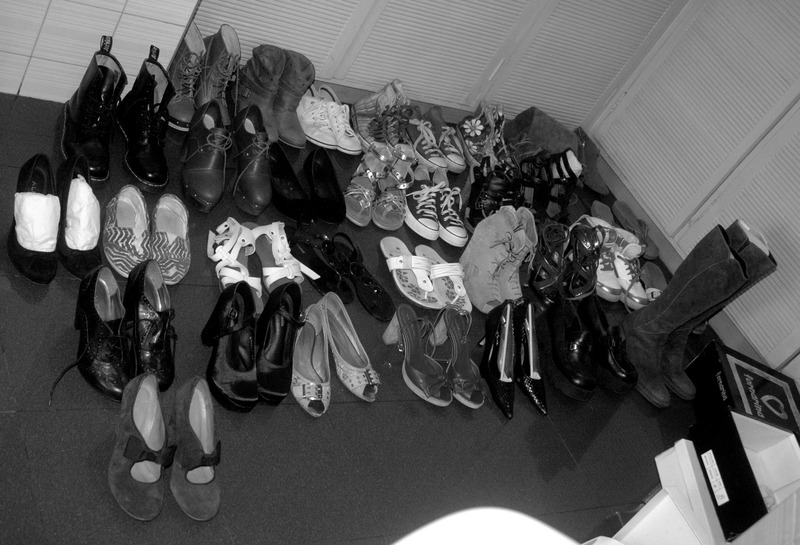 I have about 25 pairs of shoes. I do love them, but I keep myself from acquiring too many by selling a pair or throwing a pair away whenever I bring home new shoes. I try to keep my collection between 20 and 30, as I wouldn't be able to fit them all in our closet if I had more than that! My boyfriend only has six pairs of shoes- ha! 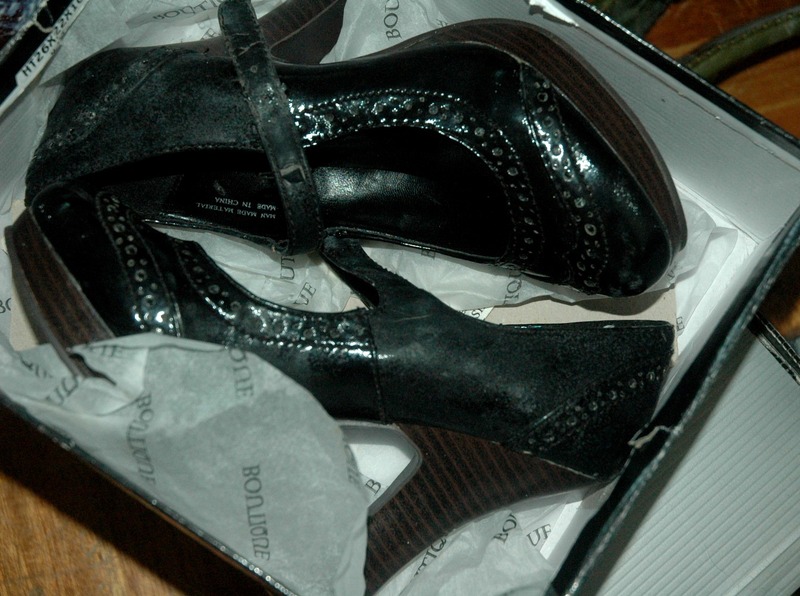 Men never want much more than a pair of black shoes, a pair of brown shoes, some sneakers, and sandals. Glad I'm a girl! wow! you have a huge collection of shoes! wow you have A LOT of shoes!!! jealous! 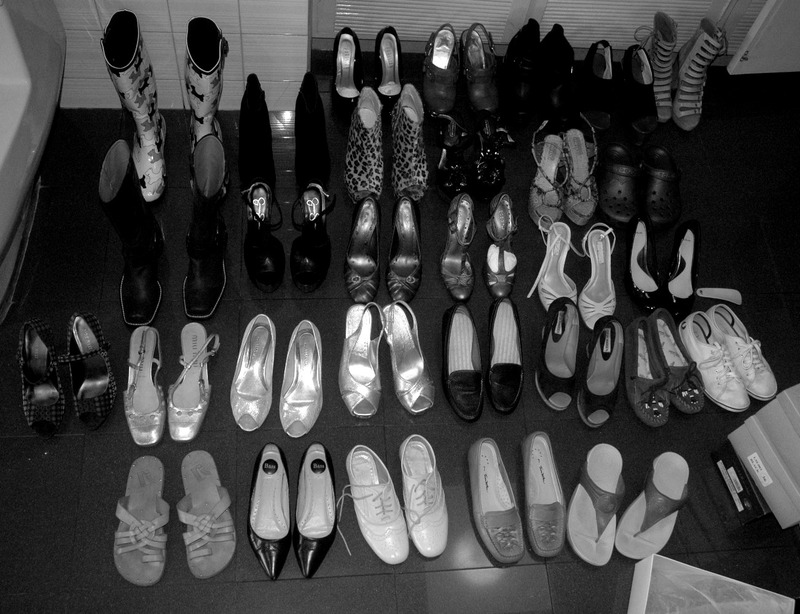 a woman cant have enough shoes! wow, i'm so jealous of this amazing collection, mine is really small. 76!? That's a big ole number! Now I'm curious to know how many I have... xoxo! I'm too afraid to count, but I am sure I need more. I have a problem. 76 is such a big number! Btw, to answer your question, I got the striped polo and shorts in a random stall inside Greenhills tiangge haha I have no idea what's the name of the store though :) And both fit pretty well. wow! sea of shoes really hahah..mine? not even 1/4 of yours but feeling so guilty na for i feel so selfish in buying and buying hahha..they are my salvation,my heroin too. can't give up collecting more, haist!